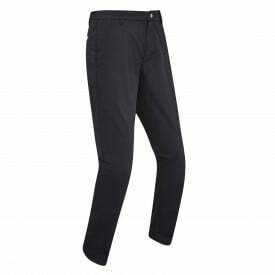 Galvin Green Andy Waterproof Trousers: Andy trousers are guaranteed to keep you dry. These top of the range waterproof trousers use GORE-TEX fabric with a solid lining for total waterproof protection. The Andy range of trousers are lightweight and breathable; with a drawstring and elasticised waist combination that ensures comfort and playability. The trousers have a zipped fly opening and fleece lined front pockets a further pocket is located at the rear. The Andy waterproof trousers are available in two colour choices Navy or Black and a range of waist and leg length and extra abrasion resistant fabric at the bottom of the hem. Andy Trousers feature a more traditional GORE-TEX fabric in their construction, the more traditional type of GORE-TEX offers more insulation and warmth than the Paclite variant used in other Galvin Green products. This new Galvin Green collection includes designs and innovations that provide golfers with the chance to play to their utmost potential. Ground-breaking new materials ensure that the Andy waterproof trousers are the cutting edge of golf wear technology. 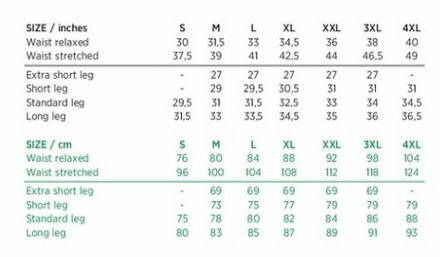 GORE-TEX fabric with a solid lining. All other parts carry a four-year guarantee.